Wow is the only way to explain this beautiful gift basket. Beautiful pink container (21.5" x 15"x10") 24" and 10" Gund my first teddy, 9" Breanna and Bella Rattle Doll, 13" Breanna and Bella Blankie Doll, 6" Breanna and Bella Rattle Doll, Bearington Swirly Security blanket and Posh Dot Security blanket, Huggie bear bib all loose wrapped with a bow and card. Definitely the wow factor. 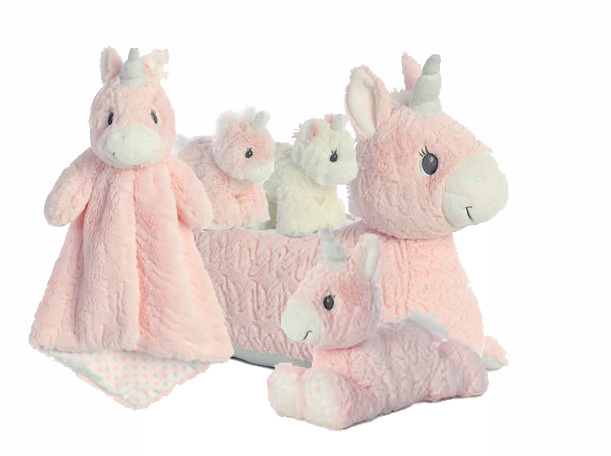 Magical Unicorn gift set from ebba comes with 21" Magical Unicorn Aria sit, play and imagine, 14" Aria Luvster, 10" Aria, and 6" Aria and Isabella rattles. Such a cute and oh so soft gift for baby. Comes in a gift bag with a card. 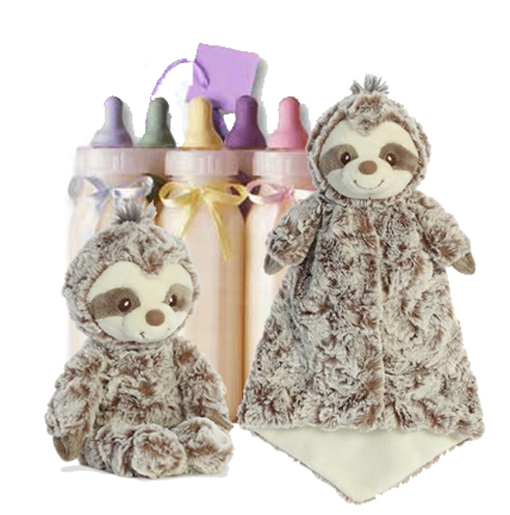 Oh so cute Sammie Sloth gift set comes with Sammie Sloth Luvster 14", Sammie Sloth 10" (made of unique 2 tone wavy fabric that is super soft to baby's touch) These expressive and sweet Sammie Sloths come in a cute gift bag with a card. Aurora Baby Lil Boy Cupcake is so sweet. Comes with a receiving blanket, 18 disposal diapers and topped with Lil Luvster (13"). Loose wrapped with ribbon and card. Aurora Breanna First Doll Blankie a lovable soft toy for baby. 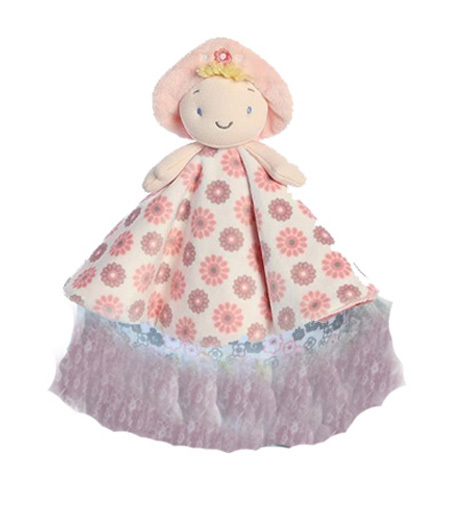 Features soft floral patterns, a fluffy body style and is 13" tall. Comes with receiving blanket, 18 disposal diapers, loose wrapped, card and bow. Such a cute gift. 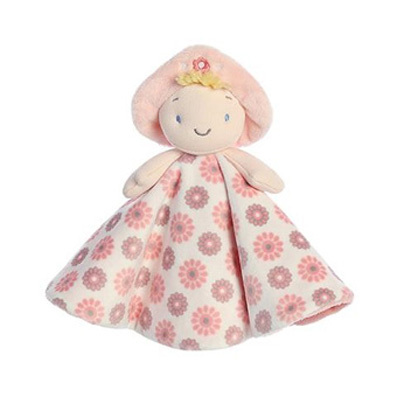 Aurora Bella First Doll Blankie a lovable soft toy for baby. 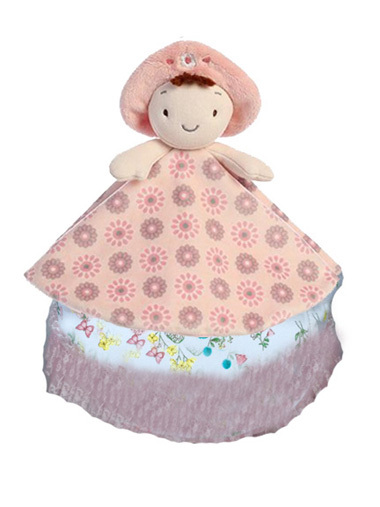 Features soft floral patterns, a fluffy body style and is 13" tall. Comes with receiving blanket, 18 disposal diapers, loose wrapped, card and bow. Such a cute gift. Aurora Breanna diaper cake comes with 9" Breanna Rattle Doll, 13" Breanna Blankie Doll, 6" Breanna Rattle Doll, receiving blanket, and 26 disposable diapers. Comes loose wrapped with a card and bow. Perfect gift for the new baby. Aurora Bella diaper cake comes with 9" Bella Rattle Doll, 13" Bella Blankie Doll, 6" Bella Rattle Doll, receiving blanket, and 26 disposable diapers. Comes loose wrapped with a card and bow. Perfect gift for the new baby. 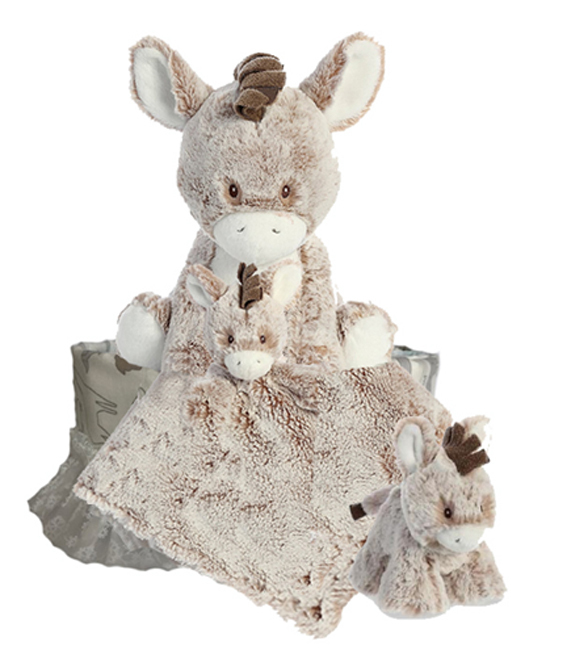 This adorable Aurora Baby one diaper cake comes with a 11" Dwee Donkey, 5.5" Dwee Donkey rattle, 13" Dwee Donkey Lil Luvster rattle, 26 disposable diapers (size2), and a receiving blanket. Comes loose wrapped with a card and bow. Ever so cute comes with approx. 26 disposable diapers, bib and 10" baby Taddles blue teddy bear. Sure to bring smiles to any new baby boy. Comes loose wrapped with a bow and card. Ever so cute comes with approx. 26 disposable diapers, bib and 10" baby Taddles pink teddy bear. Sure to bring smiles to any new baby girl. Comes loose wrapped with a bow and card. L.E. 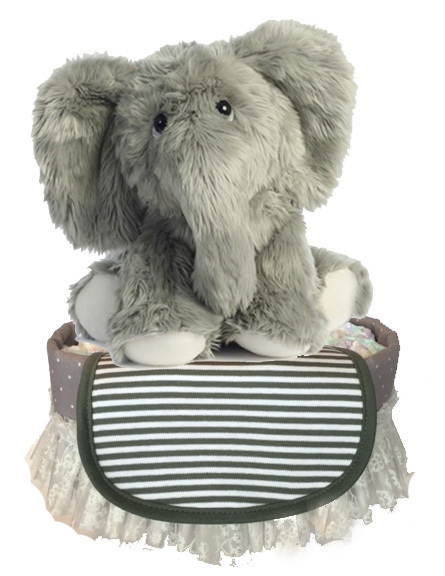 Phant Elephant diaper cake with 26 disposable diapers, a bib and a 14" L.E. Phant. Sure to bring smiles to any new baby. Comes loose wrapped with a bow and card. A Diaper Cake not only makes a great baby gift, but can also be used as a shower centerpiece. Comes with two receiving blankets, approx. 42 disposable diapers, 2 bibs, 4 washcloths, baby rattle and is topped off with a 12" Aurora Baby Teddy Bear. Comes loose wrapped with a card and bow. A Diaper Cake not only makes a great baby gift, but can also be used as a shower centerpiece. Comes with two receiving blankets, approx. 42 disposable diapers, 2 bibs, 4 washcloths, beanie hat, baby rattle and is topped off with a 12" Aurora Baby Teddy Bear. Comes loose wrapped with a card and bow. 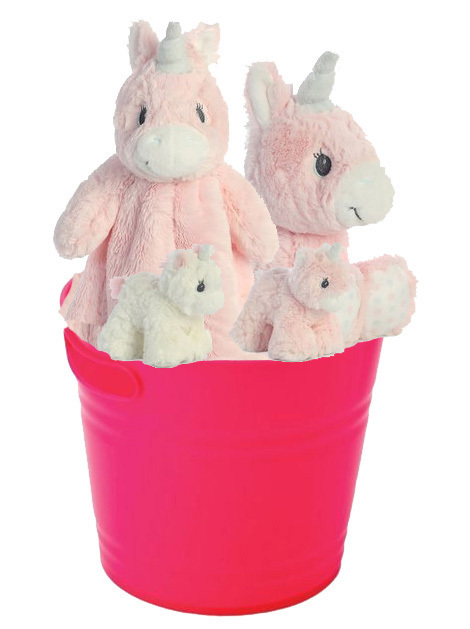 This is a darling centerpiece for a baby shower, great hospital gift or home delivery. No baking required. Made up of approx. 48 disposable diapers, 3 receiving blankets, 3 bibs, 10" Baby bear and 8 baby items. Comes loose wrapped with bow and card. 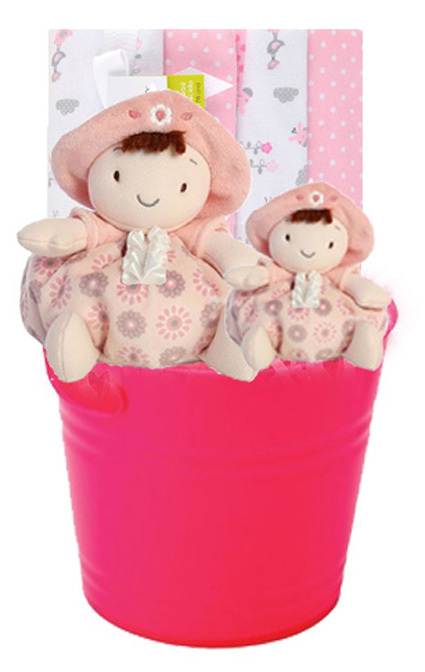 This is a darling centerpiece for a baby shower, great hospital gift or home delivery. No baking required. Made up of approx. 48 disposable diapers, 3 receiving blankets, 3 bibs, 10" Aurora teddy bear, 6" Aurora teddy bear rattle and toy. Comes loose wrapped with a card and bow. 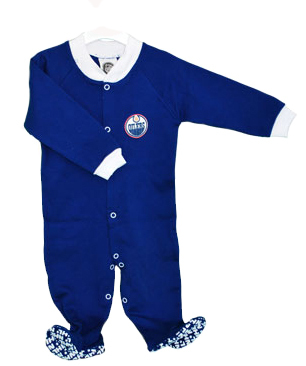 This is the perfect gift for the new Oiler's fan. 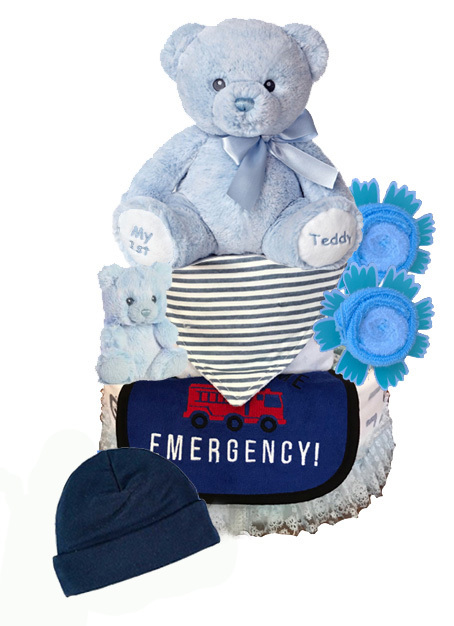 Ever so soft 24" Gund My First Teddy, Official Licensed Oiler product two onesie and hat of 100% cotton, Oiler piggy bank, socks, receiving blanket and 32 disposable diapers. 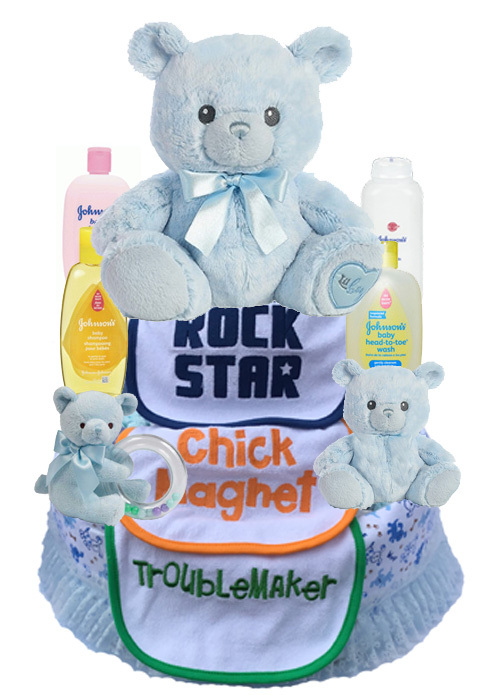 This beautiful diaper cake comes loose wrapped with a bow and card. 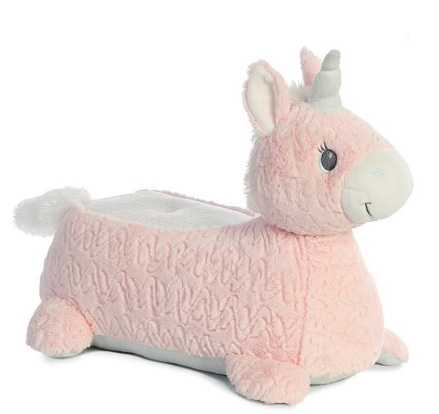 Magical Unicorn Container Gift comes with Aria Luvster 14", Aria 10", and Aria and Isabella 6" rattles. Such a cute and oh so soft gift for baby. Comes in a cute container, loose wrapped, bow and card. 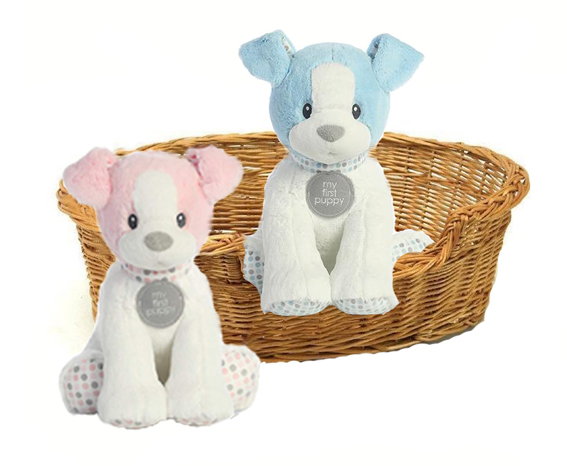 The Puppies comes with two adorable (6") super soft puppies that rattle from Aurora baby in a cute 9" puppy bed. Just adorable and so much fun. Comes loose wrapped with a card and bow. Puppy love comes with three adorable super soft puppies from Aurora baby one 13" Puppy and two 6" baby puppies that rattle. Oh so cute. Comes in a 12" wicker puppy bed loose wrapped with a bow and card. This reusable blue plastic container (8 1'2" H x 9 3/4" dia) comes with Aurora My First Puppy 6" Rattle Puppy, 10" My First Puppy, and My First Puppy Luvster (16"). Comes loose wrapped with a card and bow. Perfect gift for the new baby. 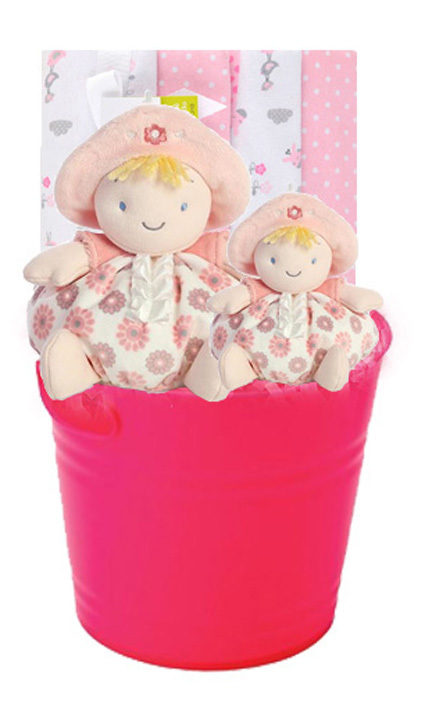 This reusable pink plastic container (8 1/2" H x 9 3/4" dia) comes with Aurora 9" Bella Rattle Doll, 6" Bella Rattle Doll, and 4 receiving blankets. Comes loose wrapped with a card and bow. Perfect gift for the new baby. 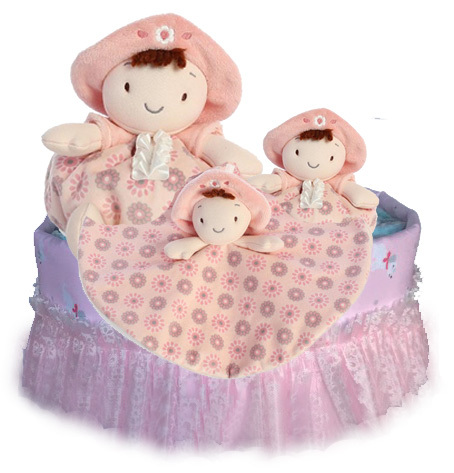 This reusable pink plastic container (8 1/2" H x 9 3/4" dia) comes with Aurora 9" Breanna Rattle Doll, 6" Breanna Rattle Doll, and 4 receiving blankets. Comes loose wrapped with a card and bow. Perfect gift for the new baby. 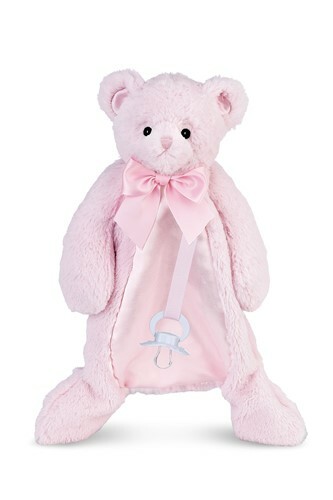 Bearington Huggie Bear pacifier pet (15.5�L) is made from super soft plush fabric with satin on the front and a beautiful bow. Features a ribbon with Velcro to attach baby's favorite pacifier (pacifier not included). There is also a Velcro pouch on the back for the pacifier when not in use (can store small essential). This take-along blanket makes a wonderful baby gift. Babies will love the softness of this plush toy pacifier pet. 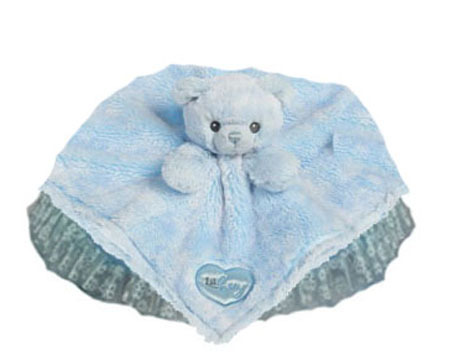 This ultra-soft pacifier blanket comforts little ones and looks endearing, too! Comes in a gift bag with a card. Sammie Sloth Luvster 14" unique 2 tone wavy fabric that is super soft to baby's touch. Expressive and sweet baby will love him. 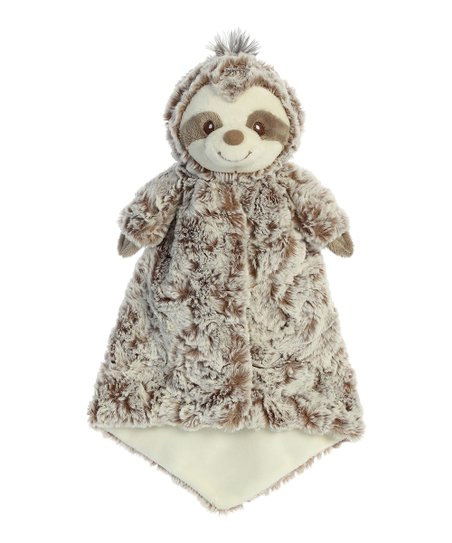 Sammie Sloth 10" unique 2 tone wavy fabric that is super soft to baby's touch. Expressive and sweet baby will love him. Adorable first Doll Breanna Blankie featuring a lovable pink design, so soft with brunette hair. Features soft material and a full body underneath the blanket. Every little girl will love Breanna. Comes in gift bag with a bow and card. Adorable first Doll Breanna featuring a lovable pink design, so soft with brunette hair. Features a soft material body and has a rattle inside to entertain the child. Every little girl will love Breanna. Comes in gift bag with a bow and card. 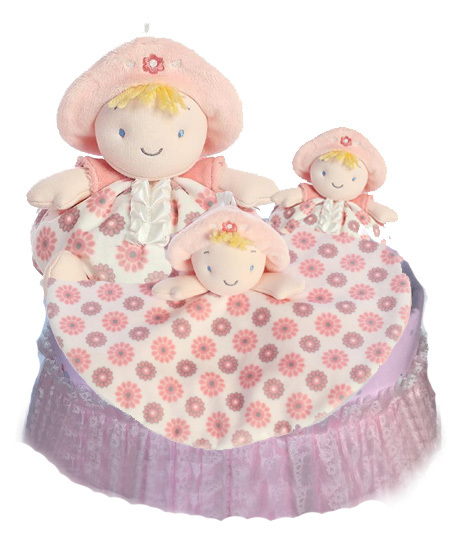 Adorable first Doll Bella Blankie featuring a lovable pink design, so soft with blonde hair. Features soft material and a full body underneath the blanket. Every little girl will love Bella. Comes in gift bag with a bow and card. 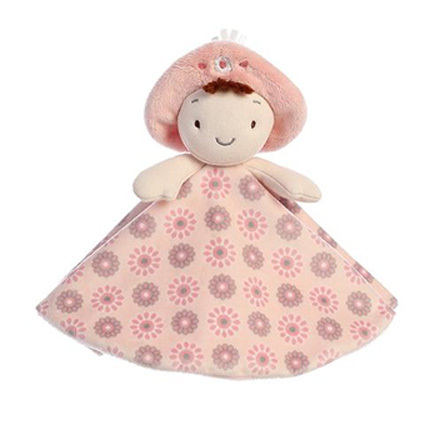 Adorable first Doll Bella featuring a lovable pink design, so soft with blonde hair. Features a soft material body and has a rattle inside to entertain the child. Every little girl will love Bella. Comes in gift bag with a bow and card. 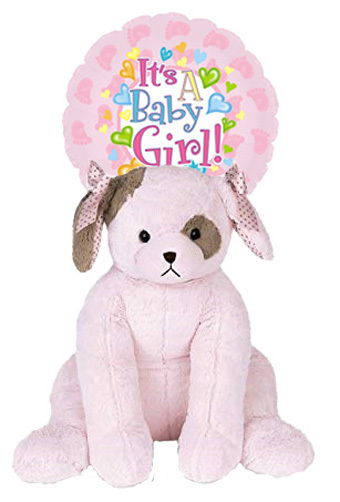 My First Puppy (10") is an adorable super soft puppy from Aurora Baby. Oh so cute. 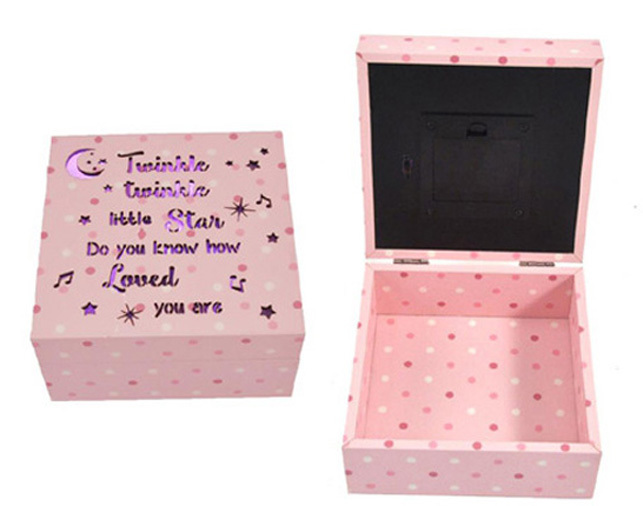 Comes in a puppy paw box, with a bow and card. My baby's hand print, happy hands and tiny toes (7"dia.) is a great keepsake for Mom and Dad or Grandma and Grandpa. Comes in a cute gift bag. 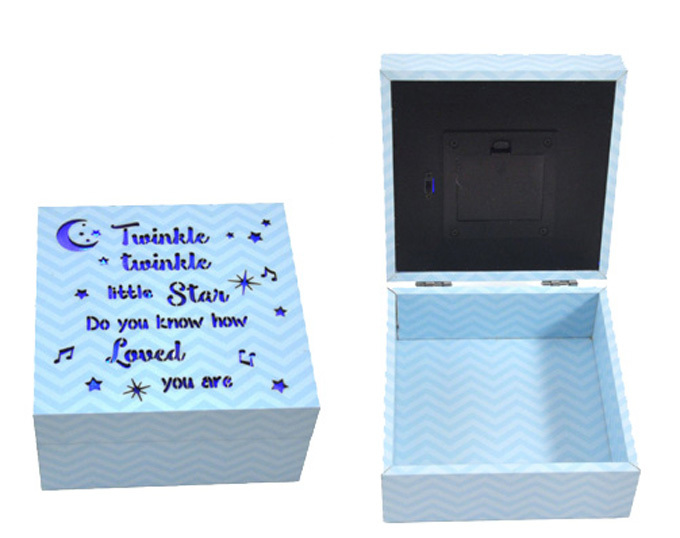 Twinkle Twinkle little star do you know how loved you are box (6" x 6" x 3") is a great addition to Baby's room. LED lights (2 AA batteries included) add a special ambience to baby's room. Comes in a gift bag with a card. From the Bearington Baby Collection this chocolate brown basket is filled with an ever so soft Swirly Blanket, beautiful Huggie Bear bib, adorable 8" Lil Huggie bear and Wee Huggie Bear blanket (9"x8") great for snuggling and chewing. 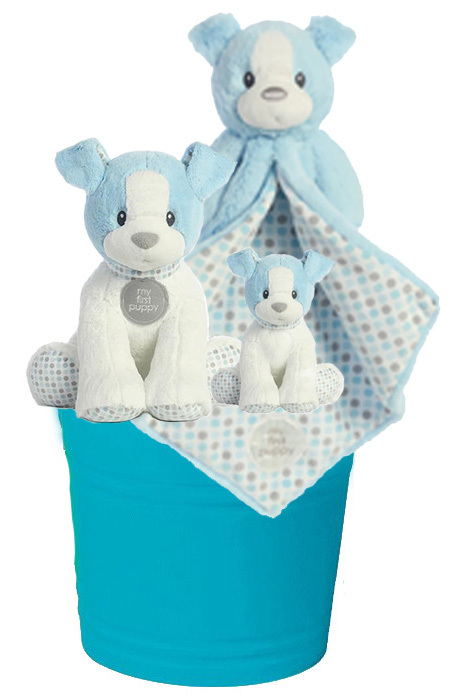 This is the perfect gift for a baby boy and mom will love these adorable items. 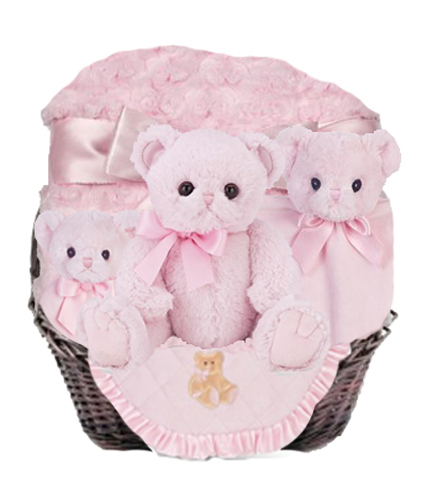 From the Bearington Baby Collection this chocolate brown basket is filled with an ever so soft Swirly Blanket, beautiful Huggie Bear bib, adorable 8" Lil Huggie bear and Wee Huggie Bear blanket (9"x8") great for snuggling and chewing. 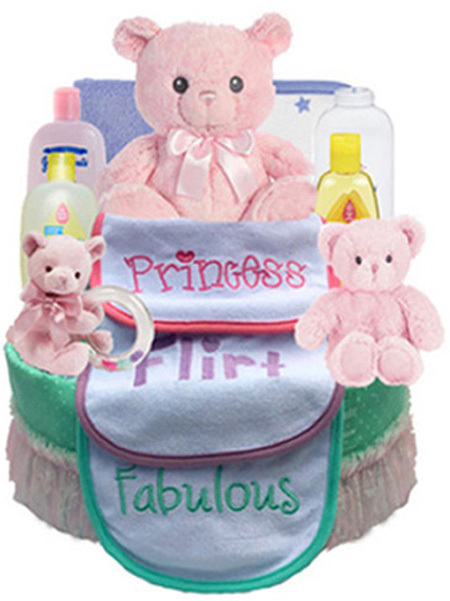 This is the perfect gift for a baby girl and mom will love these adorable items. Cuddly Waggles is a 30" plush dog that will please young and old alike. Waggles is made from the softest blue and brown plush and has a satin brown and white hounds tooth bow. This puppy from the Bearington Collection is an awesome addition to any family. Comes wrapped with a large bow and baby balloon. Send some cuddles to a baby today. Cuddly Wiggles is a 30" plush dog that will please young and old alike. Wiggles is made from the softest pink and brown plush and has a satin pink and brown bows tied on her ears. This puppy from the Bearington Collection is an awesome addition to any family. 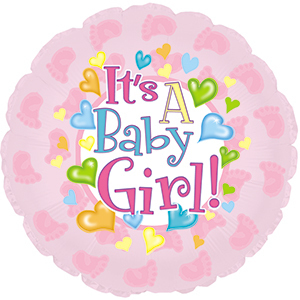 Comes wrapped with a large bow and baby balloon. Send some cuddles to a baby today. 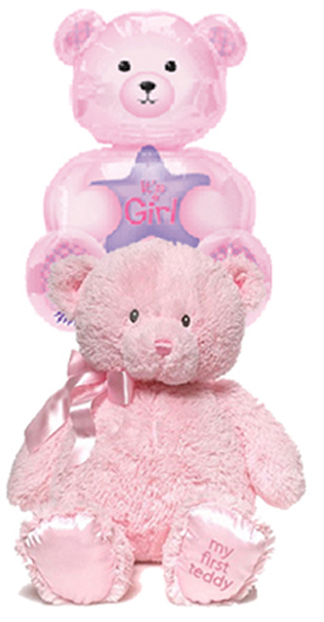 This large pink My First Teddy by Baby Gund is the perfect first teddy bear to give to a new baby. 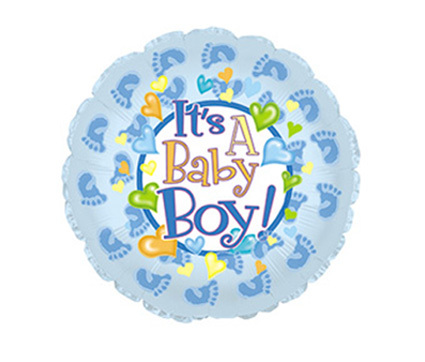 Comes with Helium filled SuperShape foil balloon is 19" x 24". This extra large balloon is so cute. My First Teddy is sure to become a keepsake teddy. 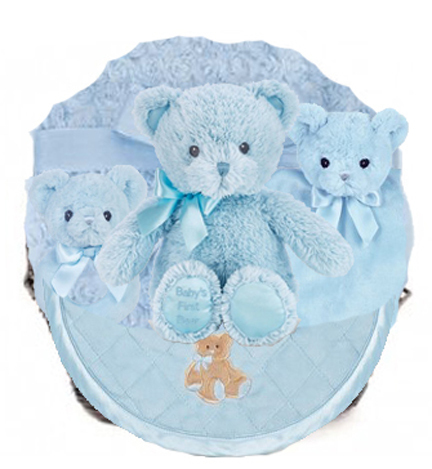 My First Teddy by Baby Gund has embroidered eyes and nose for baby�s safety. This first teddy bear also has �My First Teddy� embroidered on it's foot. This first teddy bear is extra soft and made of silky, low pile plush. 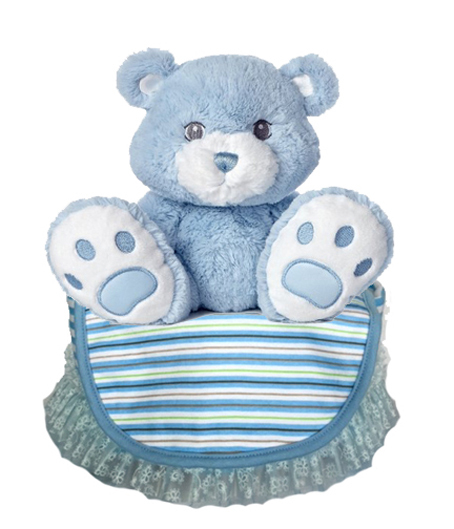 Baby will love to cuddle this teddy bear and it is a great addition to the d�cor of any baby's room. 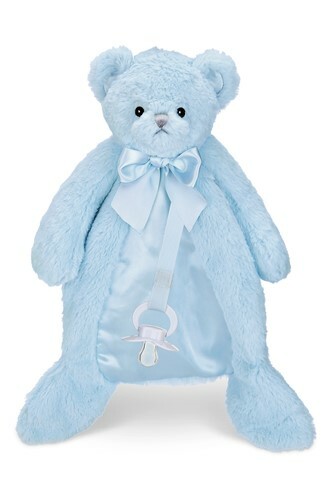 This large blue My First Teddy by Baby Gund is the perfect first teddy bear to give to a new baby. Comes with Helium filled SuperShape foil balloon is 19" x 24". This extra large balloon is so cute. My First Teddy is sure to become a keepsake teddy. My First Teddy by Baby Gund has embroidered eyes and nose for baby�s safety. This first teddy bear also has �My First Teddy� embroidered on it's foot. This first teddy bear is extra soft and made of silky, low pile plush. 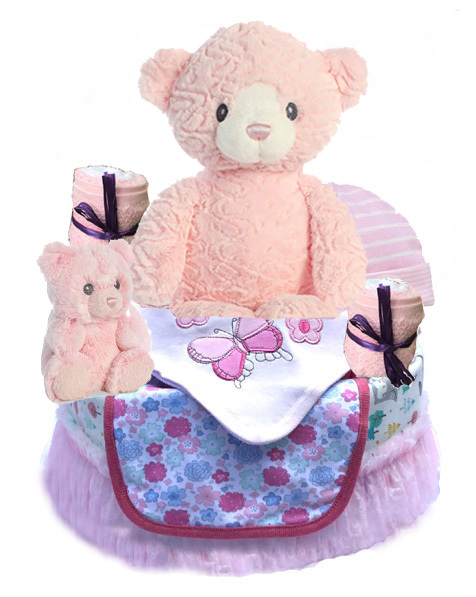 Baby will love to cuddle this teddy bear and it is a great addition to the d�cor of any baby's room. Super soft and ready for a hug! 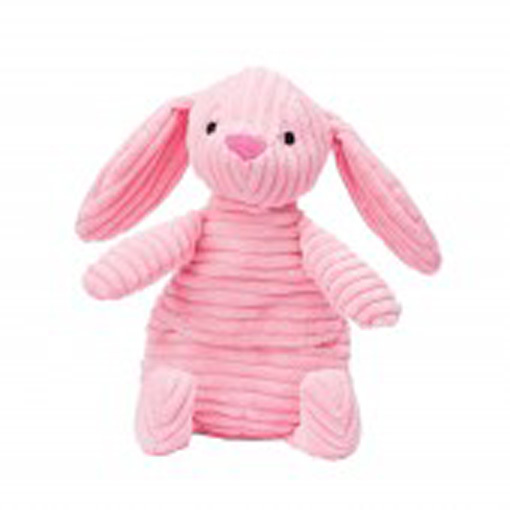 This Bunny (15.5" high) is great for sleeping, soothing and comfort. Adorably designed plush is great for warmth and comfort! Includes a reusable warming pack made with a soothing blend of Buckwheat and Lavender. Comes loose wrapped in cello with a card and bow. 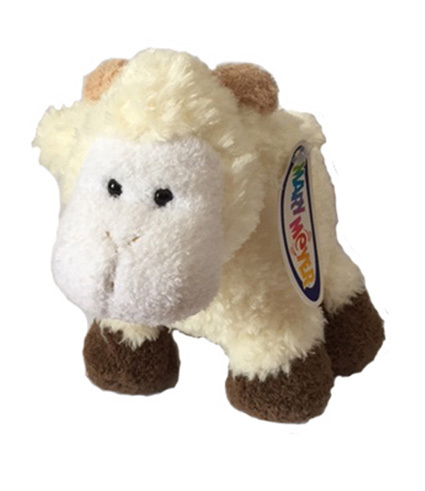 Mary Meyers 7" soft plush GoatyBelly, LambyBelly and RaffyBelly comes in this great BoxCo Theme box, loose wrapped with a card. 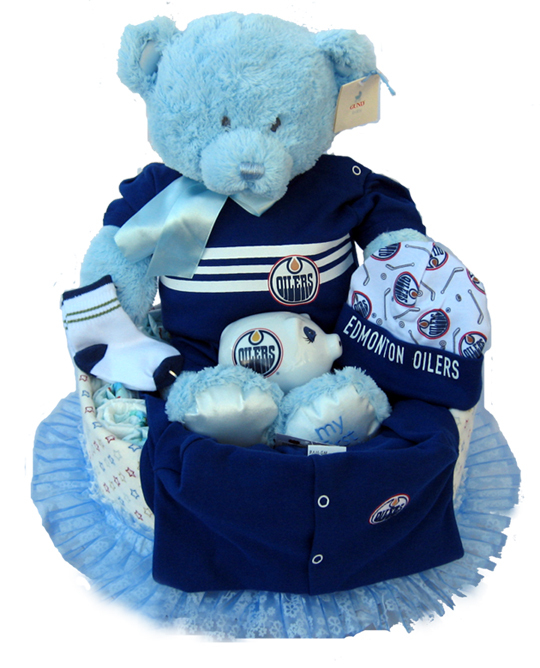 Official Licensed Oiler product this sleeper is 100% cotton and perfect for any baby oiler fan. 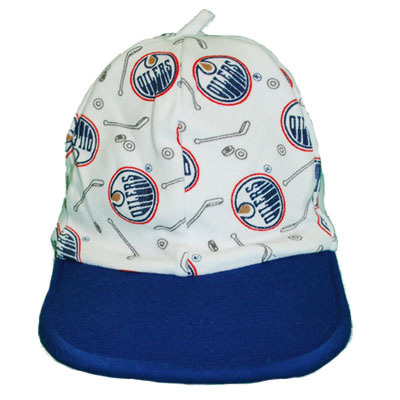 Official Licensed Oiler product this hat is perfect for any baby oiler fan. "The Magic Bonnet" I'm just a little hankie, square as square can be; but with a stitch or two, they've made a bonnet out of me. I'll be worn home from the hospital, or on the christening day: then I'll be neatly pressed, and carefully packed away. 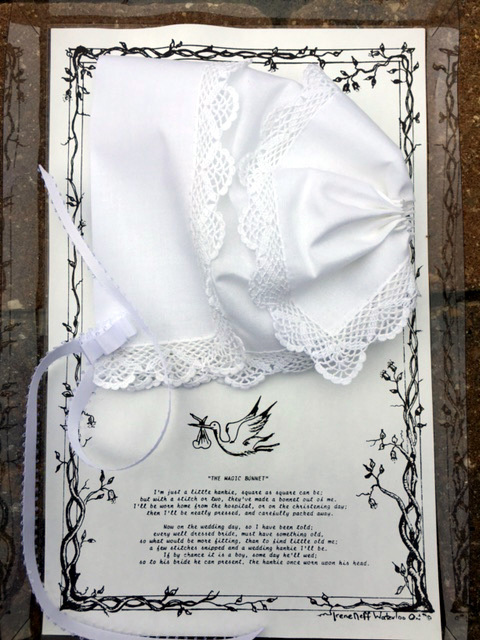 Now on the wedding day, so I have been told; every well dressed bride, must have something old me; a few stitches snipped and a wedding hankie I'll be. If by chance it is a boy, some day he'll wed: so to his bride he can present, the hankie once worn upon his head. Comes in a gift bag with a card. Give your little one a gift they'll cherish. This darling Unicorn so much fun (19'' W x 13'' H x 13'' D). Sit, Play and Imagine. Comes loose wrapped with a bow and card. 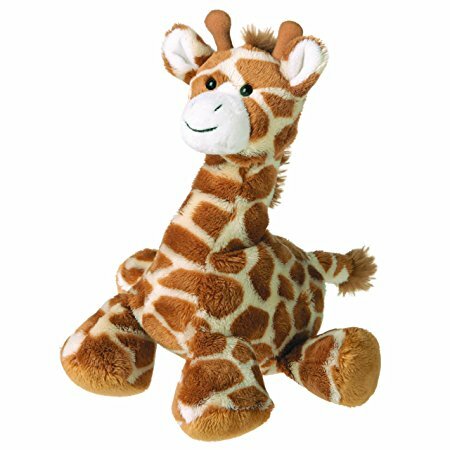 RaffyBelly is an irresistible, chubby orange and brown speckled giraffe. PufferBellies measure a full 7-Inch. Soft and silly PufferBellies are extra-huggable, makes a great gift for all ages. Safe for children of every age. 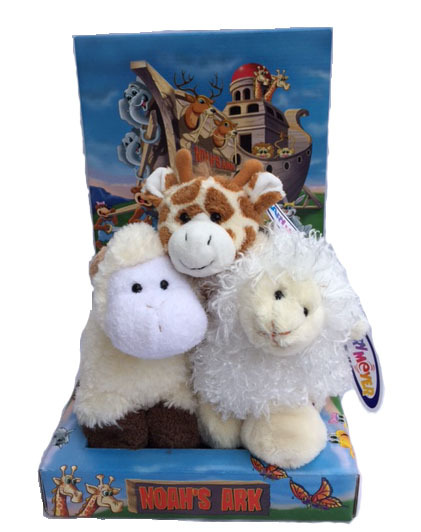 Mary Meyer has been making quality stuffed toys for more than 77 years; dedicated to bringing you beautiful, safe, educational toys and collectibles from the best materials.. Comes in gift bag or box with card. Looking for a plush toy that stands out in crowd? This extremely soft, plush is surface washable and made to endure all the journeys of childhood. This 7" Mary Meyer Puffer Bellies Plush Goat GoatyBelly features a plump body design that is super soft, cuddly & just the right size to tote around. What child wouldn't want to cuddle up to this stuffed animal for years to come? Come in a gift box or bag with a card. Looking for a plush toy that stands out in crowd? 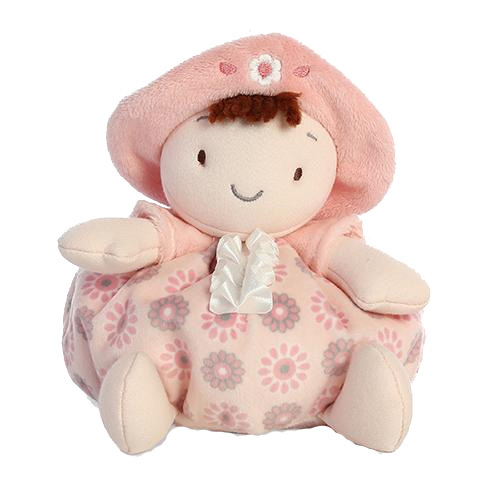 This extremely soft, plush is surface washable and made to endure all the journeys of childhood. 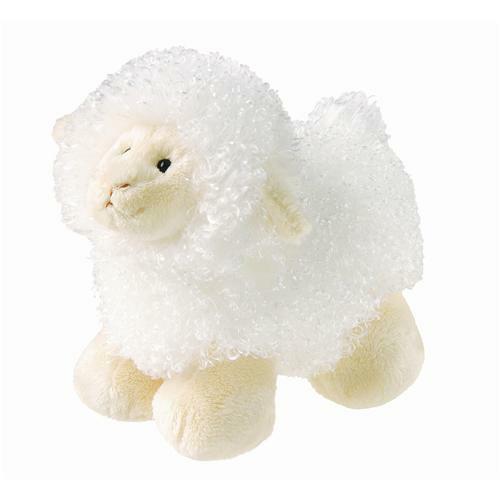 This 7" Mary Meyer Puffer Bellies Plush Lamb LambyBelly features a plump body design that is super soft, cuddly & just the right size to tote around. 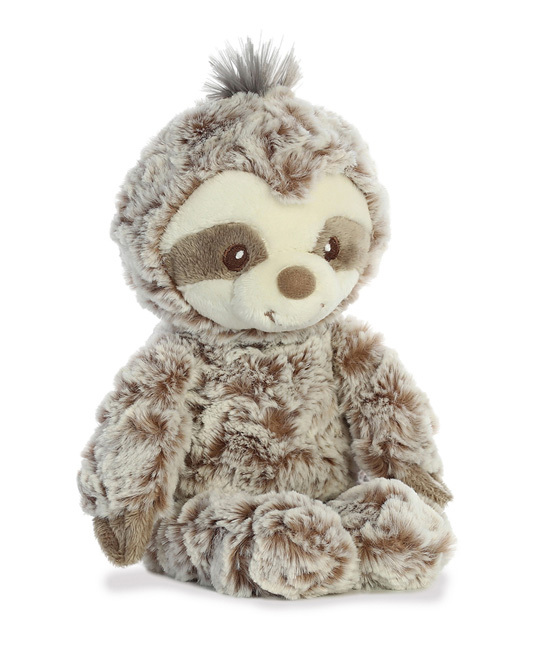 What child wouldn't want to cuddle up to this stuffed animal for years to come? Come in a gift box or bag with a card. 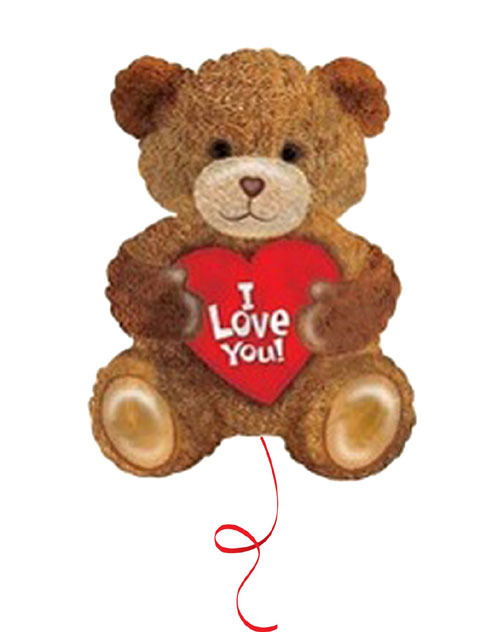 Add this cute I Love You Teddy Bear helium balloon to one of our precious baby gifts. Shape foil balloon is 20". This large balloon is so cute. 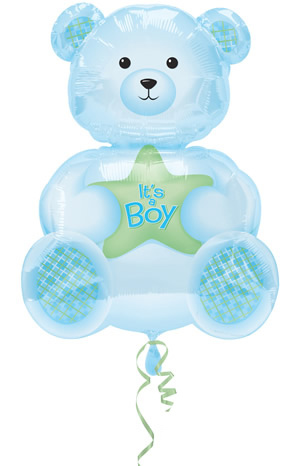 Add this cute Teddy Bear helium balloon to one of our precious baby gifts. SuperShape foil balloon is 19" x 24". This extra large balloon is so cute. The baby walker helps parents teach their kids walking skills. 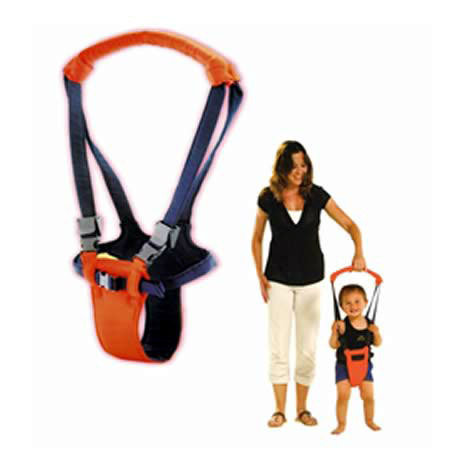 It is designed to save parents from constantly bending over. It is fun and educational for both babies and parents. Red and black in color. Suitable for babies from 6 months to 14 months. Machine wash separately in cold water, gentle cycle and drip dry only. Comes in gift bag with a card. 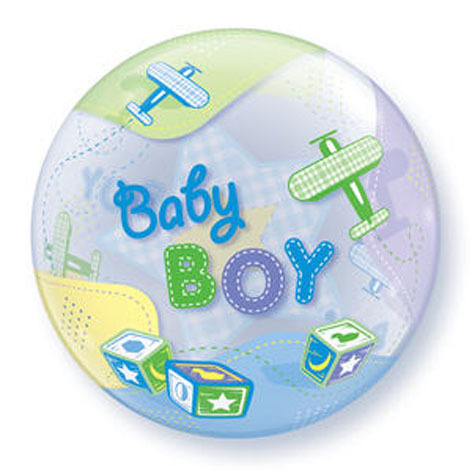 Add this cute Baby Boy Qualex Bubbles 22" balloon to one of our plush or gift baskets. Helium filled. Add a cute It's a Girl! 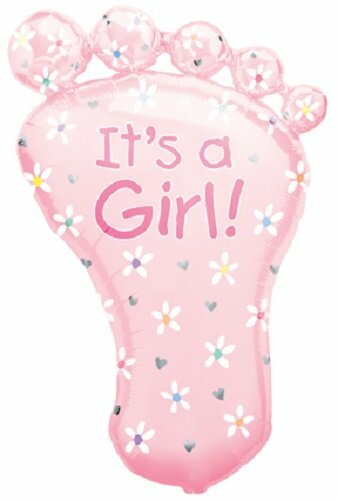 28" footprint balloon to one of our bears or gift baskets. Helium filled. 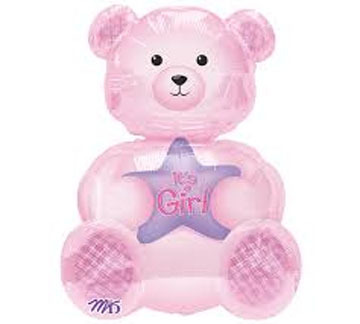 Add a cute It's a Girl balloon to one of our gift baskets. Helium filled 18" dia. 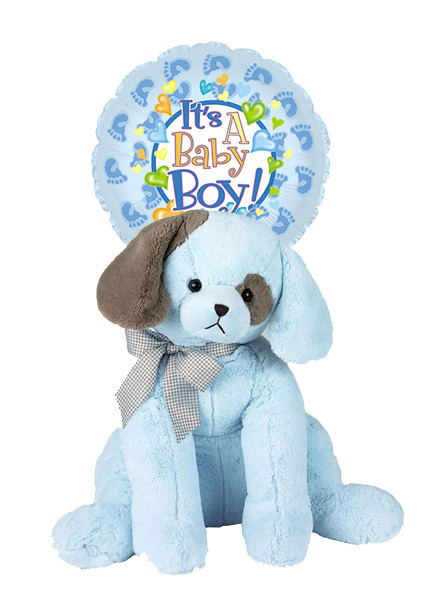 Add a cute It's a Boy balloon to one of our gift baskets. Helium filled 18" dia.